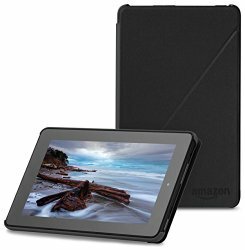 The new $49.99 7″ Fire tablet was released today, so I thought it would be interesting to take a look at the covers and cases that are available for the new Fire tablets. The new devices are labeled as the 5th generation and the cases for them are also identified as 5th generation – 2015 release. The bad news is that there aren’t very many yet, especially if you prefer the generally lower-cost option of a third-party case. And, cases that fit the new devices are currently only available from Amazon. That means nothing on eBay or other sites yet. The good news is that is a variety of styles, colors and price ranges are already listed on the site and for sale . Amazon Fire Case (5th Generation – 2015 release), Black – Price is $24.95. Made by Amazon. This case is polyurethane, has a magnet closure and a built in stand that can be used horizontally or vertically. The case allows access to all ports and buttons. Available in black, blue, green, magenta and tangerine. NuPro Fire Slim Standing Case (5th Generation – 2015 release) – Price is $19.99. Made by NuPro. This case is polyurethane, has a magnet closure and a built in stand that can only be used in the landscape position. Available in Black, navy, pink, purple, and turquoise. NuPro Fire Standing Case (5th Generation – 2015 release) – Price is $14.99. Made by NuPro. This case is polyurethane, has a magnet sleep closure and a built in stand that can only be used in the landscape position. Available in Black, navy, pink, purple, and turquoise. Amazon Fire HD 8 Leather Case (5th Generation – 2015 release)– Price is $49.99. Made by Amazon. This case is premium natural leather with a matching microfibre interior, has a magnet sleep closure and a built in stand that can be used horizontally or vertically. The case allows access to all ports and buttons. Available in black and gray. Amazon Fire HD 8 Case (5th Generation – 2015 release) – Price is $39.99. Made by Amazon. This case is polyurethane, has a magnet sleep closure and a built in stand that can be used horizontally or vertically. Available in black, blue, green, magenta and tangerine. NuPro Fire HD 8 Slim Standing Case (5th Generation – 2015 release) – Price is $24.99. Made by NuPro. This case is polyurethane, has a magnet sleep closure and a built in stand that can only be used in the landscape position. Available in Black, navy, pink, purple, and turquoise. Amazon Fire HD 10 Keyboard Case (5th Generation – 2015 release)– Price is $99.99. Made by Amazon. This is a protective case with an integrated, full size keyboard with track pad. The shortcut keys provide access to e-mail, media controls and volume. Available in black only. Amazon Fire HD 10 Leather Case (5th Generation – 2015 release) – Price is $64.99. Made by Amazon. This case is premium natural leather with a matching microfibre interior, has a magnet sleep closure and a built in stand that can be used horizontally or vertically. Available in black and gray. Amazon Fire HD 10 Case (5th Generation – 2015 release) – Price is $49.99. Made by Amazon. This case is polyurethane, has a magnet sleep closure and a built in stand that can be used horizontally or vertically. Available in black, blue, green, magenta and tangerine. All of these say that they cases only fit the new 5th generation Fire tablets. I always get excited when I see that entire series of backlist books have been released as e-books. 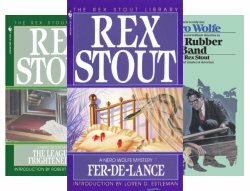 As a lover of mystery novels, I was delighted to discover that all 47 of Rex Stout’s Nero Wolfe Mysteries are now available in versions for the Kindle, Nook, Kobo and iPad. The corpulent Nero Wolfe is a perennial favorite among lovers of armchair detective mysteries. The series of Books is comprised of 33 novels and 39 short stories and novellas which have been adapted into radio, film and television versions.. The series begins with the 1934 Fer-de-Lance, and concludes with the posthumously published volume of three stories, Death Times Three. You can read more about the series on its Wikipedia page. So. The good news is that the books are now available in e-versions. The bad news is, the pricing for the books is all over the map. Thirty of the books in the series are priced at $7.99, which is the exact same price as the paperback versions. Fifteen of the books are priced as high as $11.99. The prices on the other two varied from $2.99 to $7.99, depending on the retailer. The order of the books doesn’t seem to be a factor. Book 1, Fer-de-Lance, is $7.99. Book 2, The League of Frightened Men, is $11.99. The covers are also inconsistent. 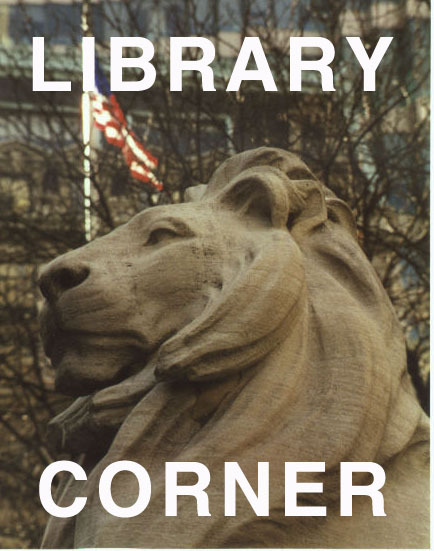 Some of the books have new covers; others do not. Needless to say, the pricing was a deal-breaker for me. Like most mystery lovers, I am a serial reader and I would have bought the whole series if they had been priced along the lines of how Amazon priced the Ed McBain 87th Precinct mysteries ($1.99 to $4.99) or the Gladys Mitchell Mrs. Bradley mysteries ($1.99 to $3.99). I don’t know if this is protectionist pricing for the new Nero Wolfe novels by Robert Goldsborough’s Nero wolfe mysteries, but the prices are just too high, especially if you want them all. 😦 I think Random House’s agency pricing is showing. Since these are now available as e-books, I am hoping that soon we also might see The Nero Wolfe Cookbook finally come out as an e-book. The cookbook features excerpts from the books alongside recipes for dishes served in the Nero Wolfe mysteries. The hardcover is great for the kitchen, but the book is as much a joy to read as it is to cook from….